This conference ushered in the reigns of Apostle Michael Amoako as the National Head in grand style! When he took over, ‘words on the streets’ was – “he is hip”, “he will transform PENSA”, “he gets it”, “he is youthful”, “the youth will return back to the Church”, “he listens”, “he will fight for the youth” – if anything, this PENSA confirmed what we have said and what people have heard. Apostle Amoako wanted to belong and wanted to get involved. He was not shy to get on the dance floor with the youth and waved his handkerchief to the praise of our maker. At this moment, I would like to extend great kudos to the leadership team for the comprehensive planning of this event. This event wouldn’t have been possible without the leadership and guidance of Pastor Mike Portuphy – the National Youth & PENSA Leader. I remember sometime last year, Pastor Mike reached out to me to conduct a survey for the upcoming conference. He wanted to know if people preferred a National Conference to a Regional Conference – I developed and designed the survey and over 70% of the people chose National. As a leader, he had very good reasons to go with a regional event, but just like a good leader, he listened to the voice of the people. He did not stop there – he went further and looked at the survey results and understood what people did not like about the previous conferences and with the help of his team, worked to bring about the changes we all enjoyed this past weekend. With the help of Assistant National Youth & PENSA leader and the National Secretary (Pastor Foday Kaba Dumbuya and Elder Dr. Arnan) coupled with the leadership of Pastor Potuphy, I’m certain that this shift will move beyond the conference and infiltrate the local assemblies. Music: Let me start with Music, because this is what stood out first and foremost. The music production possibly consumed a lot of cash, but it was worth it. – money well spent. The sound quality was top notch. The music team led by my own friend Yaw Osei-Owusu performed to the Glory of God and in style! Their outfits were hip and modest. Who said modesty can’t look good? They performed various songs with passion and you can tell they practiced A LOT. I once heard they practiced till 3:00 am – well, excellence comes with a price. They sung with smiles. I noticed something about Deacon Yaw – he did not hog the microphone. We all know he is a gifted singer, but he allowed other gifted musicians to lead. The concert was superb! I believe that some people were healed and had their breakthrough just by singing, dancing and praising their God. Message & Prayers: The messages all weekend were GREAT and full of revelations! The messengers of the Gospel seek to empower the youth, encourage them and push them beyond their limits. The messengers were also on time with their messages and left room for prayers. We all took something home to help and aid us in the pursuit of excellence. During prayers, the rooms were still filled! We did not lose the spiritual aspect which has always been the BEDROCK of the Church! This is something which should continue. People were delivered, saved and felt the love of the Holy Spirit through prayers! Programming: The overall program deserves praise. Service started on time! I have been a long time advocate of the Church taking the lead on when services should start instead of the members dictating when services started. When people realized that the program started with our without them, they wanted to belong. They realized that the big picture is about Christ and not them. People adjusted their behaviors accordingly. If you did not like suits and were invited to the White House, chances are, you would probably find a suit to wear – the culture and environment of the White House determined your behavior. In the pursuit of excellence, the Church should continue this trend to aid people to change their behaviors towards their appointment with God. One aspect of the whole evening which made me smile was the boldness the programming team had. When a preacher was way past his time allotted, they turned off the lights to signal to the preacher that we have to move on. This is not disrespectful, but in the pursuit of excellence we have to constantly aim to move forward and push forward. This is one of the few ways we will achieve our goals. Breakout Sessions: The breakout sessions provided an avenue for folks to delve deeper into various topics. It served as an opportunity for students to ask questions and it created an atmosphere of learning. One breakout session which I attended and stood out to me was “Evolution vs. Creation”. The room was energized continuously with questions and understanding. Another breakout session which I helped moderate/led with Portia Amofa was titled “Excellence in Academia”. Not to be biased, this was one of the best breakout sessions I have been apart of. The panel members were diverse across various fields of study and diverse with regards to gender! There were three anointed powerful women on the panel! Portia and I were moderators, but we were also allowed to share our “two cents” which also gave the audience a more youthful perspective. The audience were engaged through out the whole event and I just wished we had more time. But this is what excellence looks like! Breaks: Who would have thought that we would have breaks! Breaks in between programs and sessions were much needed. It is something I wrote about 2 years ago and something I always believed in. The breaks served various purposes: people were willing to attend services early because they KNEW they would get the break to relax, network and rest! During breaks, people who did not fancy the food provided had the freedom to purchase their own food. There were less complaints about food compared to the previous PENSA conferences. One of my youths used breaks to catch up with family. BONUS: I noticed something interesting. There was less “over policing” as compared to previous conferences. Jesus once told his disciples, GO AND PREACH the Gospel and when you are rejected, wipe the dirt of your feet and move on – Jesus was not only teaching them how to move on, but also teaching them that the Gospel, and what it comes with should not and can’t be forced. This is what I’ve always believed in and it is something I saw. We were not forcing people to come to service, we were not forcing people to participate and we were not forcing people to get involved. We allowed people to make a choice and a decision and we actually bet on the fact that more people will make the right choice and it panned our successfully. While we will want everyone to do the right things, we can’t coerce them to do so – at the end of the day, they are adults and we treated them as such and they responded as such. When Jesus came, He was not so concerned about changing man from bad to good, He was more concerned about the Heart of Man. He knew that if He succeeded in winning the heart of men, He would win them to Himself and eventually, their hearts will influence their actions. PENSA 2017 touched the hearts and minds of this generation and people from all walks of life were scrambling to partake in it. Before I complete this write up, I would like to conclude with a prophetic message for the body of Christ. I had a short conversation with Apostle Amoako on Sunday after Church and I was telling him about how it will be tough to replicate something like this in the future! Because it was excellent. As a good leader, he said, “we should always try to do more and do better next time”. He does in fact get it! He sees this as the stepping stone to greater things. This reminded me of a prophetic message I received at the beginning on the year. Prophetic Message To The Leaders & The General Church Body: The year of sowing. PENSA 2017 Conference was just the seed sown. More to come! This is a strong message I recieved at the beginning of the year after praying and waiting on God. I received the message and shared it via Facebook post about this year being the year of sowing. Not knowing it is a strong prophetic word to the nations and to God’s people. You might have noticed that this year, no matter what the Good News surrounding you and all the Good things, there is sense of tiredness. There is a sense of constant battle. Constant struggle. You seem to be doing a lot. You seem to be over working – there are a lot of ideas and things you want to do and accomplish. Like an experienced boxer who rolls with punches, roll with all of them. It is something good. Whatever is going on, use this year to sow. There is a massive change going to happen and God wants you to use this year to SOW. What ever you want to sow in, do it now. Business, Education, Family, Kids, Relationships, Marriage, Investments, People, Church, Volunteering, etc. Whatever it is, SOW NOW. Plant your seeds all over the place. The troubling times will last but not long. Do it now. It will cost you – this is not the year to reap. It is to sow. It will cost you. Cost you greatly. Financially, in relationships, or anything. It will come with a prize. But there is a perfect storm coming. So large and so great – the storm will destroy things which you did not sow – after the storm, all that is left is what you have sown and it will germinate with time. A time is coming when God is going to use what you sow now to bless you and others for His Glory. Through out the whole year so far, this is the Prophetic message I am getting. Pray over it and start investing in everything around you. Every single thing. Besides my day job as a Program Manager Evangelist at Microsoft for the Southeast region of the U.S, I enjoy various hobbies. I volunteer a good portion of my time to causes close to my heart: Teaching Middle Schoolers critical thinking skills with Citizen Schools, helping raise funds to help families adopt through Gift of Adoption and running a non-profit which gives away free laptops to incoming coming students – all this coupled with the constant pursuit of education (currently pursuing a Masters of Science in Management and Leadership). I live a busy life and I enjoy every bit of it. In efforts to be “well balanced” and in pursuit of “work-life” balance, I spend my downtime reading, watching movies and playing video games. I enjoy a variety of video games from first person shooter games (which I’m horrible at) to sport games – which I am good at. At some point, I was ranked Top 5% of Madden players online. I couldn’t get higher than 5% because I barely the time to play it. A game I also enjoy is FIFA from Electronic Arts – possibly because I’m a soccer player and a student of the game. I recently played a friend online and after winning the series (3 straight games) without conceding a goal, my friend said, “it was tough playing you because you used different formations and strategies at different times and you exposed my defense”. His statement was an accurate assessment of my playing style – understand the game & my opponent, be nimble and agile, deploy different strategies at appropriate times, figure out what works (learning), stick with it for sometime and then find ways to innovate increase the chance of success. Interestingly enough, this is how I work and approach my job. I immediately picked up a pen and paper and wrote down what I do in FIFA and how it correlates to my job. The concept of a growth mindset was developed by psychologist Carol Dweck and popularized in her book, Mindset: The New Psychology of Success. In FIFA, I approach the game with a “growth mindset”. I’m not just playing the game to win, I’m also playing the game to learn and become better than my previous self – with this approach, I will always remain competitive and will always have a chance to win against anyone. I learn from my failures and I actually implement changes to ensure I don’t fail again. A perfect example: I was playing a series with a friend last night and he took the first 2 wins. It was my first time playing him in FIFA so his style of play was foreign to me. I failed the first 2 games and his style of play was a challenge to me; but I viewed the failure and challenge as opportunities to get better and learn. After the first 2 games, I made adjustments based on his playing style and I dominated! The same philosophy of learning and growing applies in my current role. I look for opportunities to develop at all times. An aspect of the growth mindset is listening. I listen to my MVPs & Regional Directors, Open Source Communities and internal stakeholders like the Tech Evangelists I work with. I tend to look for areas I could improve – “fail fast & learn faster”. I love strategizing and implementing strategies – I love to build things from the bottom up and watch things grow and succeed, hence, I look for ways to continue to help my MVPs where I may have previously failed and I look for ways to add value to the technical communities through my strategies. Agile, flexibility, nimbleness are keys to success at anything in life including a Program Management role – simply because you wear a lot of hats. Just like FIFA, there are lot of moving pieces to any management role pertaining to any business. As a leader, you should be able to analyze opportunities and be decisive in making adjustments to help maximize your potential which will lead to constant growth and success. When making changes, one should not only consider the opportunities at hand, but the resources and support available at their disposal. In FIFA, I look at my overall squad of players, look at the strengths and weaknesses of my roster and play to my strengths. When managing a team like Barcelona, I take advantage of their formidable strikers and ensure Lionel Messi is the focus of my attack due to his ball handling skills – he can make things happen. If Messi is seriously marked in the middle of the field, I move him out-wide and attack from the outside since he is pretty much unstoppable. As a FIFA player, I support my players by being able to adjust and placing them in the right positions to succeed. In my role as a PM, I want to be able to assist my MVPs & RDs and Open Source “influncers” by supporting them and giving them opportunities to continue to make the impact in their respective technical communities. Another point to consider is that, I don’t just make changes just to make them. I look at the vision & mission and I align my adjustments to them. In FIFA and in sports, the goal is to win – not only win, but play the best possible game, maximize your potential & resources, grow & develop. So I make these changes to reflect that in the game. In my role, I make changes and adjustments to ensure that I’m being obsessed with my customers (MVPs, RDs & Open Source Community) and enabling them to “do more and achieve more”. The MVPs have said they want to continue to do more for their communities, so I do whatever I can, make any necessary changes by being agile, flexible and nimble to ensure that they are being placed in great positions to succeed. I obsess over their success. In FIFA, I enjoy playing in Manager Mode. In this mode, I get to manage a team from the bottom up. I implement strategies for my team which includes formations and tactics as a coach. I also manage the finances and more importantly talent management and recruitment. The game simulates some of the critical roles a real life coach like Jose Mourinho and Alex Ferguson will face. My strategy in this mode is simply to maximize profits for the organization and place the organization in a better position to win Championships yea-over-year. I need to bring in the world best talents (quality over quantity), manage their playing time & development, develop and manage a pipeline while developing younger players through the youth/academy program via the help of scouting. I want a diverse team of skill sets as much as possible – this is the only way I can succeed as a manager. I follow the same approach in my role as a Program Manager. I want to bring in the right “influencers” to my program on a consistent basis; hence, I “scout”. I pay attention. I watch more, listen more and speak less. I study my communities and pay close attention to what is going on. Just like a manager/leader in the sports world, I support my community (MVPs, RDs and Open Source influencers) & just like scouts in real life, I travel to various events in my region to learn more and also meet potential MVPs. I also take the time to develop a healthy pipeline while building a healthy relationship with our student partners to ensure I am supporting them as well and helping them develop into future community “influencers”. Building business relationships is one of my strengths, which happens to be essential in Program Management. I build relationships because I value them. I value being able to be of assistance and I love to watch people succeed. At the end of it all, my I take pride in what I do at Microsoft. I love it and love the opportunity to be at the forefront of the company’s strategy and helping drive value. My development is all wrapped up in one thing – growth. It’s important for me to always learn, develop and grow to ensure continuous success and surprisingly, FIFA has taught me a thing or two. What’s the point of praying? Why bother doing it? Have you prayed for something and never got the response you expected? Have you prayed for healing for a family member and still watched them suffer in pain? Have you fasted and prayed only to be hurt by God’s silence? Well, you are not alone. I’ve been there – several times. If I can be real with you as my faith cautions me to be, sometimes I ask my self “what’s the point of praying if I’m not going to get what I’m asking for?”. Don’t judge me yet. If I’ll be real with you again, we’ve been wrong about the objective of prayer – this is why we’re often left broken and disappointed. Growing up, I was told to pray to God whenever I needed something, so I grew up with a selfish mindset about prayer = “it’s supposed to be when I want something and how I want it”. I became selfish and misunderstood the objective of prayer. But prayer is not truly about us. Prayer is beyond us. It is something we do to stay connected with our maker and not an executive order. Prayer goes beyond our needs and wants. Picture this: You’re a parent and you have a son/daughter. Your child only talks to you when he/she needs something. After they get what they want, they go back to their room, lock the door and just live their life. The next morning, they come to you and ask for a ride for school – you drop everything you’re doing to drop them off. On the way to school all they do is stay on their phone, smile and giggle while texting their friends or consuming the plethora of information on social media. You try to start a conversation, but you get ignored. You drop them off. The story stays the same when you pick them up. This time, they ask you nicely with the puppy face “daddy, can you please get me the XboxOne today?” Your child is sweet after all, so you can’t deny them. You get them the XBoxOne hoping it will make them happy and possibly strike a conversation with you. Failed. A week later, they break up with their boyfriend/girlfriend, and at their lowest of lows, they reach out for consolation. You console them and encourage them. After a week, they get better and ignore you again. At the age of 16, with a provisional license, they ask you for a Ferrari. They know you can certainly afford it, but you know what’s best for them; you know they can’t simply handle such a car at a young age. You know the “fast life, in the fast line” is detrimental to their development, so you get them something for a start – a Honda Accord. They get furious and frustrated with you forgetting that you meant well. This time they ignore you for more than a week for not getting the Ferrari they wanted. My question is, would you want to be this parent? In this position? I bet not. This is how we sometimes treat God, but God wants more than just providing for our needs and wants. He is our Father. He will always be there and provide for us – especially our needs. But prayer digs deeper than that – prayer builds a bond, establishes a connection, strengthens our faith and builds a beautiful relationship through endless love, strong mercy and sufficient grace. When my dad was sick, I remember praying for God to heal him completely; but he passed. At first I was hurt and upset and I asked God, “what in the world is the point of praying?” forgetting that, just like a father, He knows best and I should trust Him in ALL situations and all circumstances. Tough, but no one said it was going to be easy. Prayers shouldn’t leave us broken and disappointed – it should fortify us, give us peace and hope. God is okay with us asking him for things, but he wants more than that. Just like the father, He loves us endlessly and wants to commune with us. He wants to build that bond. Who are we that He is so mindful of us? We are nothing to be honest, but He chose us. He chose to create us in His image and likeness. He chose to make us unique and He chose to relate to us. Prayer is what bridges the gap. It’s what connects us to Him. He enjoys talking to us and loves hearing about our day, our struggles and our problems. Just like the father, He wants something uniquely deeper with us and we shouldn’t deny Him of that. About our wants, believe that He has heard them all, but trust that He knows best and we should trust his answers: Yes, No, and Wait. He knows best and will never lead as astray. Read, Share, Comment! God bless! Have you ever yearned for a particular miracle for so long that you began to doubt that it will ever happen? Sometimes in life, we get to a certain place where we lose hope and so much faith that we forget about the ultimate authority and power of God. I know I’ve been there and you’ve probably been there yourself. Sarah was in the exact same position. In Genesis 18, some angels visited Abraham. While they ate, one angel said that Sara (Abraham’s wife will bear a child). Sarah overheard their conversation and laughed. I probably would have laughed too. You probably would have done the same. Abraham and Sarah were old and there were no Viagra to help their cause; so of course there was lack of faith and doubt. How was this awaited miracle going to happen in the midst of doubt? Simple: God. When God chooses to lift you up from a specific situation, (while faith at times, is a prerequisite for miracles) He the creator of the Universe has the ultimate power and authority to override your lack of faith and doubts to perform a miracle in your life for His Glory. God had a plan for Abraham and Sarah and not even Sarah’s laughter or lack of faith was going to stop His plan. God has a plan for your life. You might have lost faith in Him. You may have some doubts but for the sake of His Glory, His plans for your life will come to pass. Believe it or not, but I hope you will believe. The Washington Redskins are playing the best football I’ve seen since 2012. To be frank, they’ve actually surprised me with their recent from (4 wins in a row) and there is definitely something different about this team and as a long time Redskins’ fan, I can sense it. You know what, I LIKE THAT. The defining moment for me came when the Redskins were playing the Bills. It was 3rd & 7 but a false start penalty moved the Redskins back 5 yards. At 3rd & 12, as a long time Redskins’ fan, I thought they were going to throw a two yard pass and magically get a first down as they have done for decades But something happened: Cousins stepped back and with a five step drop, rifled the ball between defenders for Pierre Garcon for a first down. I was in shock. Seriously. For the past 10 years or so, I have not seen a Redskins’ team playing so fearlessly. This is something a Patriots’ team under Tom Brady will do. This is what a Colts’ team led by Manning will do: they will play to win the game and they will want it more than their opponents. But this is my beloved Redskins under Kirk Cousins – a QB who the whole world doubted. A QB who almost doubted his capabilities and a team which was pegged to finish dead last. They proved everyone wrong and I certainly LIKE THAT. This fearless attitude started before the season when Jay Gruden made a bold decision to play Kirk Cousins over Robert Griffin. It was not a popular decision and he could have lost his job if things didn’t pan out. But he believed in himself, believed his guts and believed Kirk Cousins was the right person for his system. To be honest, I believed Kirk Cousins was the better QB for that specific system, but I didn’t think Kirk Cousins was going to learn and grow this fast in one season. I simply thought Jay Gruden was going to be fired for being so bold and fearless – but it worked for him, it worked for the Redskins and it sure works for me. I LIKE THAT. Players like Hall (who I am beginning to believe is a vampire) is playing at a high level – hitting running backs like a linebacker. Breeland is not afraid to cover the best receivers on the field, Will Compton invokes fear in offenses and Kerrigan and Preston Smith are hunting QBs. Our D-line with Hatcher, Francois, Hatcher are being disruptive while Mason and Dashon continue to make crucial plays. The offense is clicking. Jordan Reed is busy being a beast while Jackson and Garcon are destroying defenders with speed and hands. This team is something else and I LIKE THAT. The Redskins might not have played a winning team this season (2015 season), but believe this, they are not afraid to. I’m not in the locker room, but I strongly believe that this team is ready to take on any team in the NFL. They are ready to fight for every inch and ready to defend every inch. They are not afraid to fail. They are not afraid to make mistakes and they are not afraid to “go to war” for each other on the field, because they know that fear will cripple them on the field. They are FEARLESS and to be honest, they want to win more than the other team does – they make themselves believe that and make the other team believe it too. They are not afraid, they invoke fear. They bring the fear which can’t defeat them. This new-found attitude is what Championship teams are made of and the Redskins are a Championship caliber team. I believe it and I’m not afraid to say it. I LIKE THAT! I’m a die hard Redskins fan and I love what DeSean Jackson did! Yes, be mad at him all you want. Hate him all you want, but that guy plays with passion: DeSean Jackson. I like DJax, but I am a Redskins fan first. With that said, you have to appreciate players who play with passion and who want to win at all cost. Call that a “bone head” move – that is what it is, but up until that point, the game between the Washington Redskins and the Cowboys was a boring one. A game which solidified the words of the pundits: a rivalry of two dead teams. The game was boring not because of the Cowboys, but because of the Redskins. They were flat out out-coached. With a backup QB, the Cowboys were more than willing to take risks and actually looked like the team ahead of the NFC East or should I say, NFC “least”. The Cowboys did not stop looking for Dez Byrant or Williams or Jason Witten – they kept looking for ways to push the ball downfield. On the other hand, the Redskins were playing extremely conservative. On that note, the offensive coordinator should be fired or the head coach should go. The Redskins actually have a very decent team. They have two or three speedy receivers who can start for any team. They have a tight end who can also start for any team in the league, two good running backs and a decent QB who can manage a game. But during the Monday Night game, the Cowboys looked like least in the East. To be honest, as a Redskins fan, this is not the team I want representing us in the playoffs. We simply did not want to win. As I watched the game, I constantly said to myself “we don’t want to win this game”. “the Redskins are going to lose because there is no fire and passion on the offense” – hold and behold, we lost! We deserved it. We did not play to win, but to lose. The running game wasn’t working, but we kept running and running. As a former football player, I understand why you sometimes stick to your game plan, but as a winner I understand why you sometimes have to do whatever it takes to win – which might include ditching your game plan and do what is working. The passing game was working. Whenever the Cowboys blitzed, our fast receivers were open, but we decided to continue to run the ball and sometimes run into the blitz. (Pause for a minute – does Kirk Cousin know how to audible or check out of a play?) Yes, at times the run game looked good but for the most part, it was not working. The Cowboys were in man coverage 85% of the time and were 75% of the time sending 1 or 2 linebackers on a blitz, this means, your fast receivers are more than often in 1 vs. 1 coverage. Which offensive coordinator wouldn’t salivate over that. It’s not like the Redskins were going against Darrell Revis and Richard Sherman – they were going against beatable cornerbacks. Give DeSean a chance and take the top off the defense, throw it to Reed more than 3 times a game, throw it Garcon on crossing routes, hit one of our receivers deep – heck, we might get a passing interference call. Simply play to win! Take chances! And that is what DeSean did. He took a chance. A risky chance and it cost the Redskins badly, but he was trying to change the fate of the game. Let’s be honest, the Redskins were not going to win that game no matter what (especially after the first quarter of play). The Cowboys wanted it more and were better prepared and better coached. DeSean Jackson being a winner was willing to change that fate. He wanted the ball and wanted to win so bad that he was willing to take a costly chance. It did cost the Redskins, but the game was lost in the first 4 drives. We forced 3 turnovers but came up with 6 points. The game was not lost because of DeSean Jackson, it was because of leadership and vision (or lack there of) stemming from coaches. Let’s be honest. Yes, I’m a Redskins fan and I love what DeSean Jackson did. He showed he wanted to make something happen. In life, those who succeed are the ones who push beyond their luck they persevere, they take risks, sometimes higher risks, they take chances, they play to win the game! 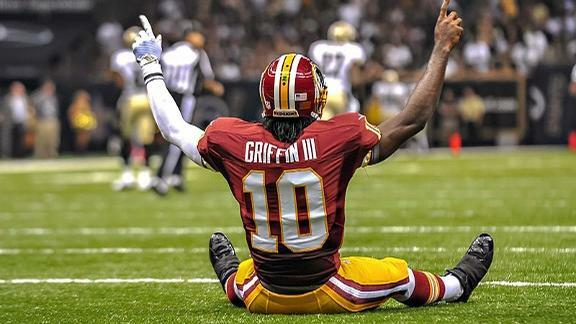 An Open Letter To RG3: Why You Are Struggling & What You Need To Do Now! I have been a fan of the game for a while and I’ve a been a die hard Redskins fan – which will not change. For the past 13 years or so, it has been one heart break season after another. But in 20012, RG3 brought us hope. Yes, Robert, you gave us hope but that hope seems to be diminishing but I’ll continue to be a Redskins fan and continue to be a fan of yours! I liked you when you were in college and fell in love with you when you joined my team as a Redskin. To be honest, I don’t care about what the world says, I still like you as a person – but with regards to football and playing QB there is a lot you have to do or else, your days are numbered at the Quarterback position in the NFL and as much as I love you, if we do not see any improvements this season, just know that out of love, I will be glad for you to be benched – no hard feelings. Like I stated earlier, I’ve been a Redskins fan for years and I try to watch each and every single game every single Sunday. In 2012, you broke into the scene and dominated. You dominated for many reasons, but if I were to dissect the game as an analyst, you dominated because of the offense you played under the Shanahans. The read option really helped you a lot. In the read option, when executed properly, for a quick second, the defense will remain still – this gives an advantage to the offense as a whole. In the read option, you need quick receivers who can quickly get open, you need a running back who can run the ball well and also sell the fake and you need your QB to do one thing, read the defensive end, give to the ball to the running back or take off. On passing plays off of the read option, the process is similar, most of the time, the running back and QB sell the run fake and the quarterback quickly releases the ball as the linebackers try to get back in coverage. In 2012, you excelled because you to make only one or two reads. After watching the first 4 games in 2012, I was able to call majority of the plays you would run a QB. It was that predictable but hard to stop because it suits your strengths: one read or quick read passer. You had a receiver in Pierre Garcon who could easily and quickly get open and you had a running back who was able to sell the fake and run uphill. Defenses were frustrated, because they could tell the play was coming but they could not stop it all because they had to hold each and every player accountable in that offense. Whenever a play broke down, you were quick enough to run to the edge and gain a few yards. Defense had to account for you, the running back and receivers and to be honest, in 2012, defenses were not ready. As usual, defenses eventually adjusted and get better and they did and slowed you down a bit with the read option plays. You are not going through your reads – With the read option, you didn’t have to go through the progression, but now that the read option is not a threat, you have to drop back, go through your reads and make a decision – this is something you are struggling with. As a fourth year QB, it is a major problem because defenses are not afraid to stare you down and they are not afraid to leave the 2nd or 3rd option open – chances are, you will not get to them. This preseason so far, there has been 16 passes, 12 of which you did not take your eyes off your number read. As much as I love you, if a QB cannot drop back and go through his progressions, then he is not fit to be starting in the NFL. You go through one read and when it’s not open, your basic instincts is to take off and run – you know why you are getting hurt often, because defenses have figured you out; they know you don’t go through your progression, so after the first read, they seal any running lanes for you and they try to take you out like they would a running back. This brings me to my next point. You want to live and die by your athleticism at the QB position – The most successful quarterbacks just do their job and use their God given gifts as supplements. When your first option is not open, instead of doing your job and going through the second and third options, you do the running back’s job and decide to take off and run with the ball. You continue to do the running back’s job by trying to gain extra yards when you don’t need to. Your job is to control the pocket, go through the reads, throw to the open receiver and hand off the ball to the running back. You have lost focus as to what you are supposed to do and sometimes it’s sad to watch. As a QB, if you do your job and no one is open, you can simply throw the ball away. You have never thrown the ball away, but try to make something happen when you don’t need to. Sometimes it’s okay to lose the little battles in an attempt to win the war. The whole football game is a war and every play is a battle; and as the general at QB, you need to be wise to know when to throw the ball away – live to fight another day and when you start doing this, it will make you a more dangerous quarterback like Russel Wilson. The reason why Wilson is better is not because he has a better line – no, but rather because he plays the game like a true quarterback. He goes through his progressions, when no one is open, he looks for an open lane to buy time while he looks to pass, when it’s not there, he either takes off when he sees an open field or he simply throws the ball away. Also, I have barely seen Wilson trying to truck linebackers – but I have seen him slide and run out of bounds. We know you are a track star, we know you have that ability, but at the QB position, you don’t need to be athletic but need to be wise – look at Peyton Manning, Eli Manning, Tom Brady, etc. They are not athletic, but they do their job at the Quarterback position and it translates to results. Other quarterbacks like Andrew Luck, Russel Wilson and Aaron Rogers who are semi athletic only use their athleticism when there is an opportunity to do so. Do Your Job RG3. 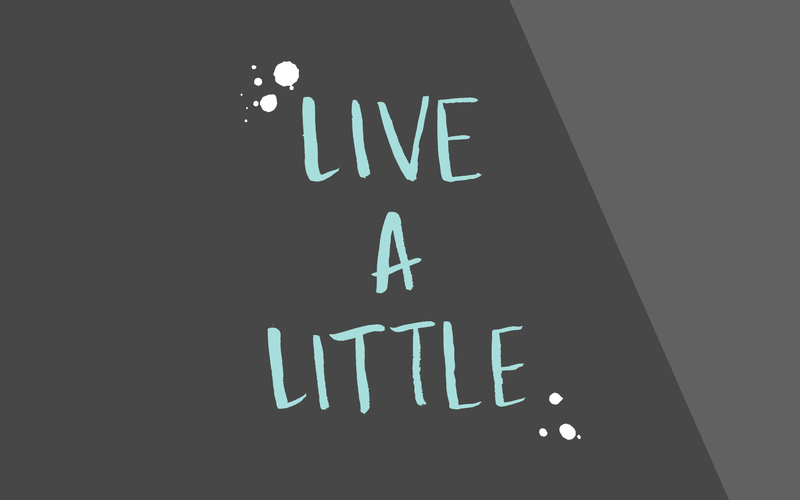 There are a couple of things you need to be doing now as well. What You Need To Do Now – The Redskins picking up your 5th option was all political. Listen, they want you to succeed, but they wouldn’t mind you failing. If the Redskins had let you go, the organization and the fan base would have been divided. Some of the fans including myself still love you. The Owner loves you and some of the coaches love you. But some believe you are not the right player at the quarterback position, so letting you go would have meant that they had given up on you, so they are only keeping you here for one more year and allowing you to play – if you fail, they will have a case that you are obviously not the right Quarterback for the job and this time, they will get the support of all of the fan base, including the owner and they will let you go or sit on the bench. It is a break or make it year for you – your failure might mean the end of a starting gig for you in the NFL. RG3, I believe in you and I believe in your abilities. I will forever be a fan of yours, because there is something about you and that thing is greatness. You are meant to be great and yes, the past few years have been tough, but “no pressure, no diamonds”. You are meant to steer this ship around. First of all, ignore the media, they are only setting you up to come up with stories to get clicks for advertisements for their platforms, so stop giving them something to say. You are not the best quarterback in the league. The title “Best quarterback in the league” is given to people who produce not people who have confidence. To be honest, you are just mediocre based on your performance for the past three years, but you have the ability to be great as you showed us in 2012. Let your confidence translate into points, that is how you will gain respect. Also, as a leader, learn to take the blame. Stop blaming the O-line and receivers for everything. Blame yourself at times – take the high road. The team played well with Colt McCoy at QB a couple of games last season. The online protected him decently, but when you came back, it all went back downhill. Take the blame when things go wrong and be a leader. Stop shifting blame. If you want to yell at your linemen like Peyton Manning and Tom Brady, you need their respect and at this moment, your linemen don’t respect you. You earn respect by being a winning leader! You can’t be a loser and command some respect. You blame everyone but yourself. Even when you do not go through your reads, take off and get hit, you shake your head blaming receivers for not getting open and blaming the line men. They did nothing. Stay in the pocket, command the pocket and do your job. When they see you doing your job, then you can tell them to do theirs. Focus on the fundamentals of the game – you are a QB first and foremost, so lead as such. Do your job only and encourage the rest to do theirs. Go through your progressions – if you do not get the chance to go through your progression, we will all blame the o-line, but if you continue to take off when you do not need to, the o-line can’t protect you.Your last play during the preseason game against the Lions, you did what I have mentioned above – there were open receivers in front of you, but you just took off to show your athleticism and that led to a fumble and a concussion. Do your job and I’m sure the O line coach will do whatever they can to keep their job. Go through your reads and when you get the running lane, run towards out of bounds or slide. You mean so much to your fans but more importantly, you mean so much to your wife, your family and future kids – you can’t afford to take unnecessary hits and you can’t afford to continue to get hurt. You are blessed with many gifts only a few have. You are smart, wise and athletic – use it, but prioritize. At the QB position, be wise and smart. I believe in you wholly and I believe you can prove the doubters wrong. You have something I see in you and I don’t care if the rest of the world does not see it. You have something special and you are meant to go beyond the stars of the NFL. Robert Griffin III you are an amazing human being and there is nothing you can’t do. You can do all things through Christ who gives you strength – don’t rely on yours, but rely on His and do what you are supposed to do – once again, do your job and the sky is your limit. I will continue to support you and be here for you.